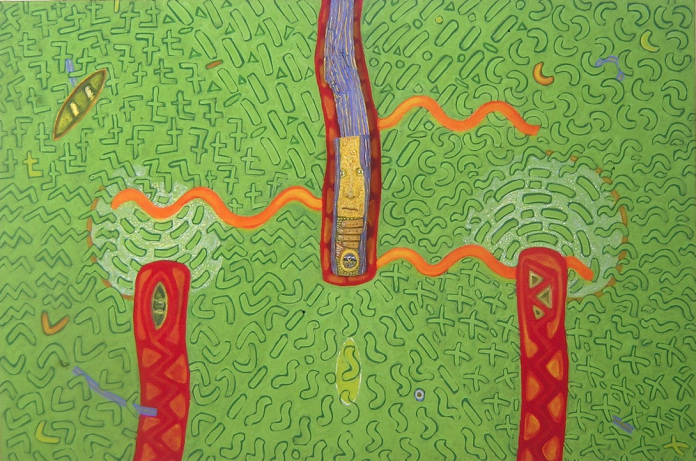 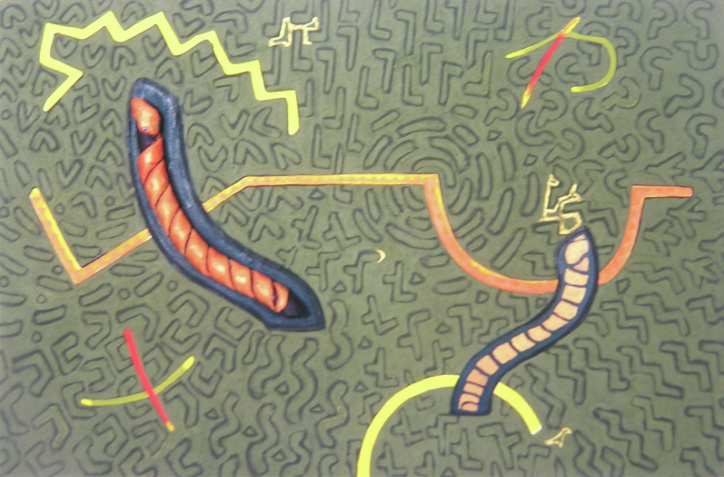 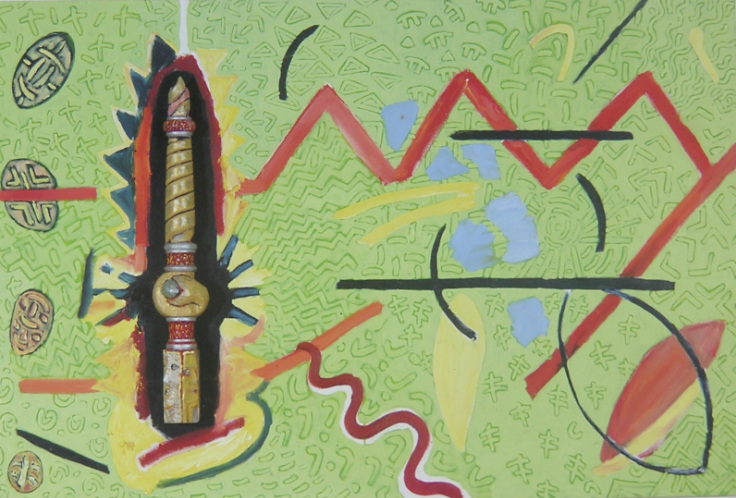 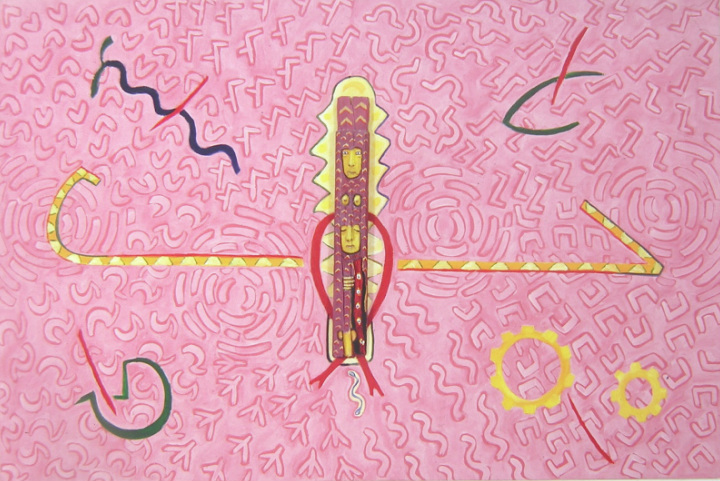 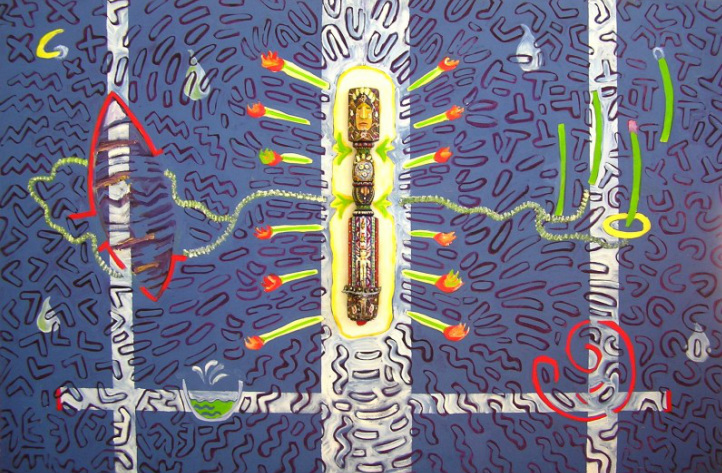 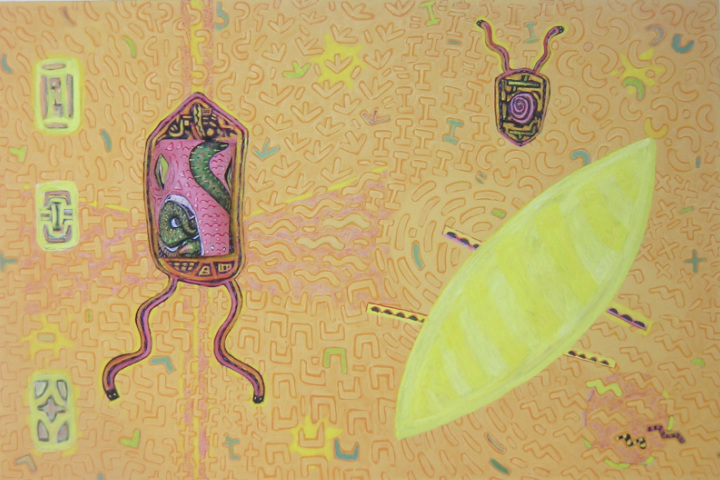 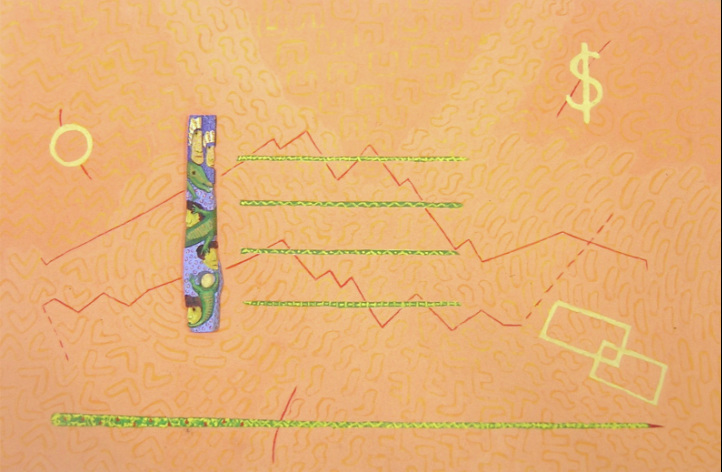 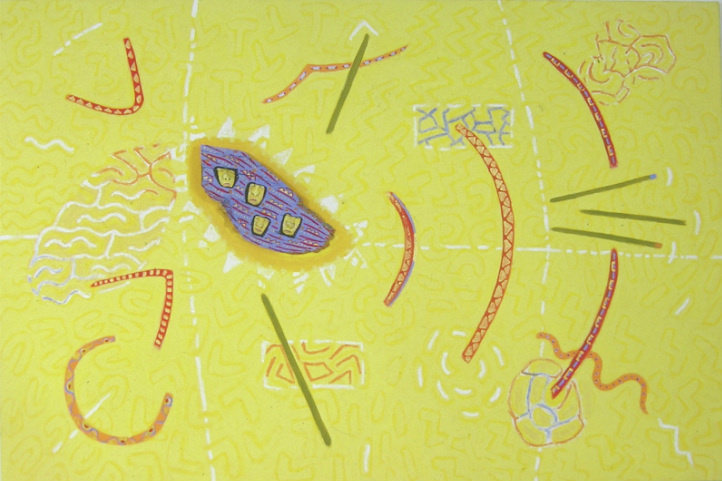 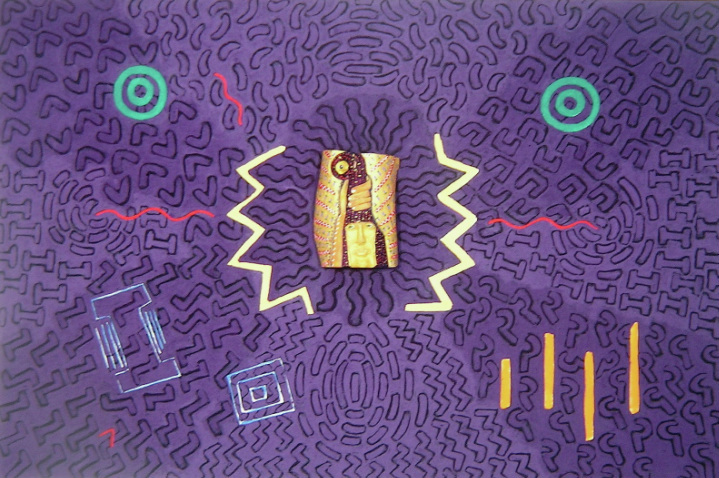 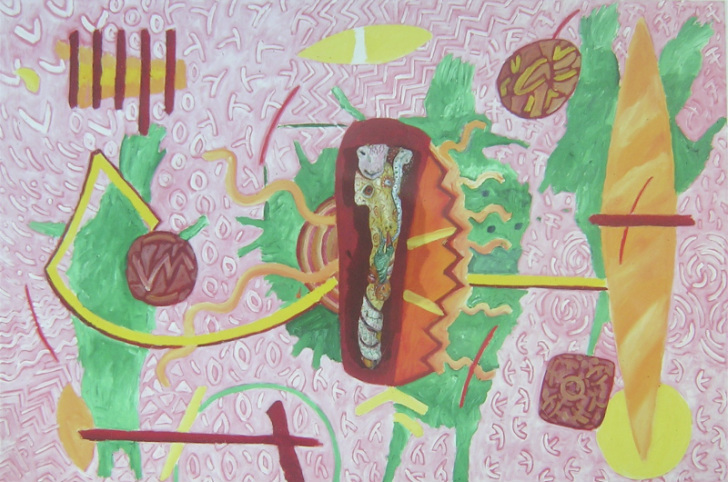 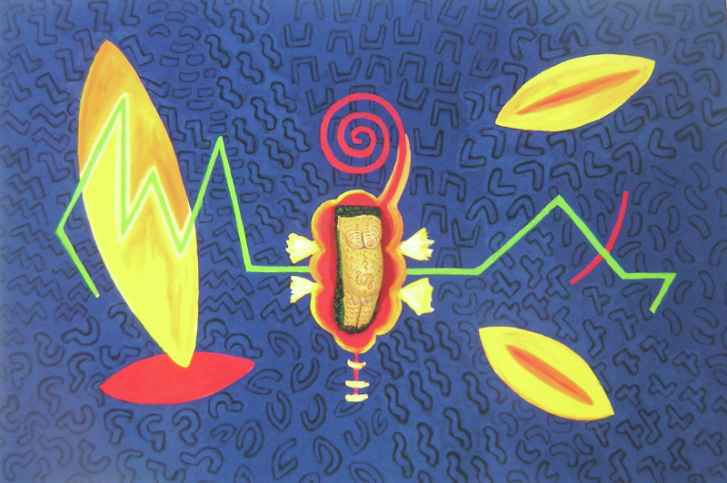 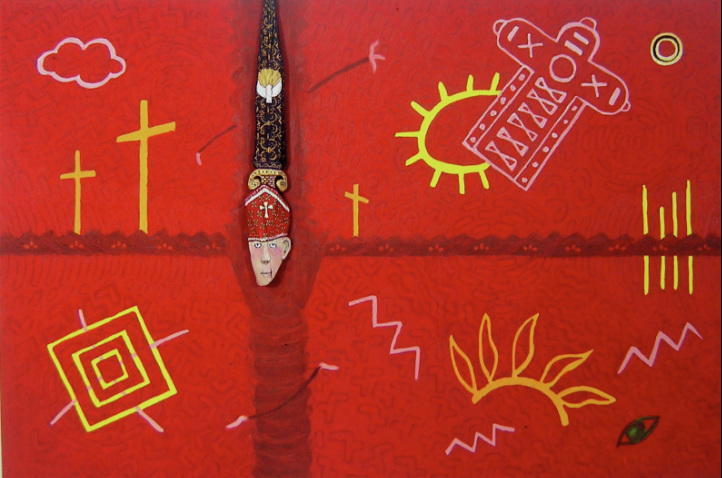 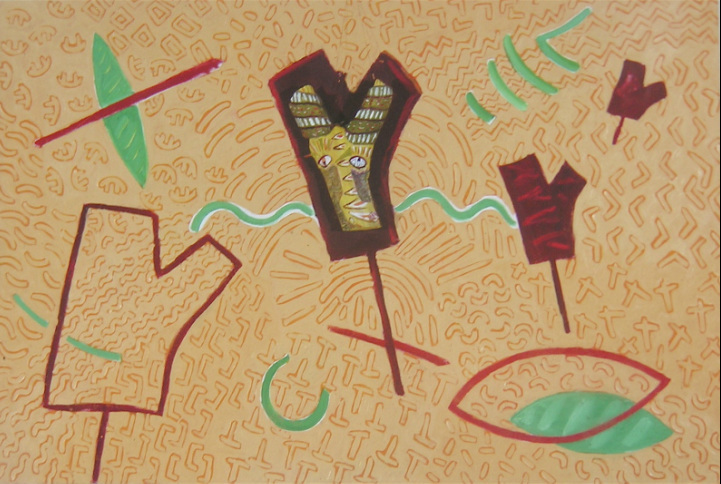 My travels between Australia and Mexico produced a body of work called"Symbolic Topographies"in which I developed a kind of personal iconography based on Mexican themes in combination with a response to the traditions in Indigenous Australian Art of reading narrative through topographical representations. 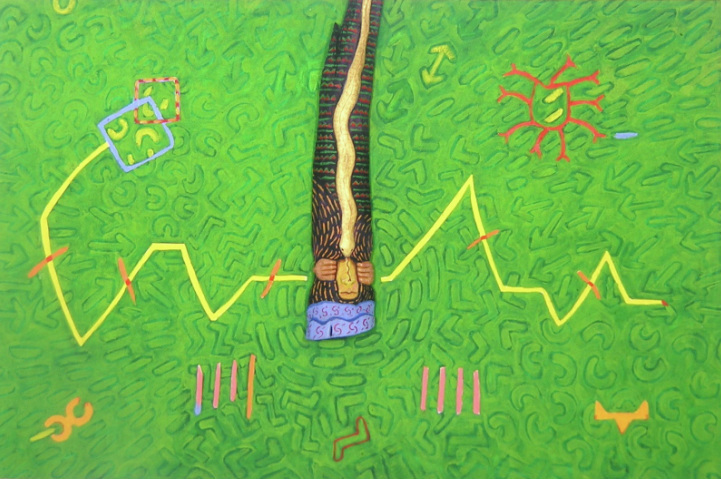 These paintings explore these experiences by investigating the emotive power of movement and the way in which symbols can be used to generate both personal and social narratives. 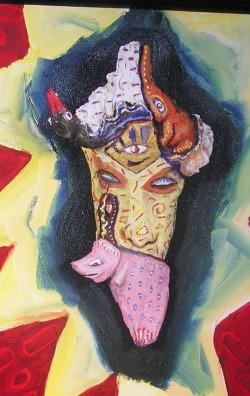 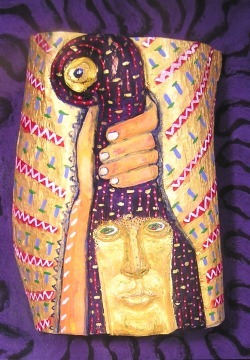 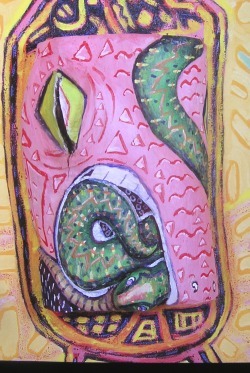 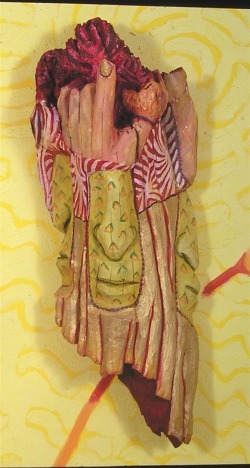 recycled wood carved and painted with Schminke Acrylics 1994-95 Mexico D.F.